We offer comprehensive services for cinema, advertising and TV. Our team has a long experience in film and commercial shoots. Specialist technicians and producers who collaborate with us on a regular basis. We have the best camera, lighting and grip equipment. We work in Spain, Portugal and Morocco. Moreover, he have offices in Lisbon, Malaga, Madrid and Seville. At Camaleon Cinema Services we provide to our customers technical and artistic staff willing to work hard in order to have a fluent and comfortable shoot as possible. Our wide staff portfolio offers reliability when it comes to choose the best person for a position. Our commitment to our brand makes our team strive to the top in every situation and / or shooting. Camaleon Cinema Services offer staff services when hiring comprehensive services including camera, lighting or grip equipment. Camaleón´s Team has a wide range of technicians in its camera department. Directors of photography, Camera Operators, Steadicam, Movi, Ronin, Hot Head, Camera Assistants / Focus pullers, Camera Assistants, Video Assistants, Dit Technicians and Phantom Flex Camera Specialists with experience in Film and commercial shootings. The crew is the basis and guarantee of quality of our brand. 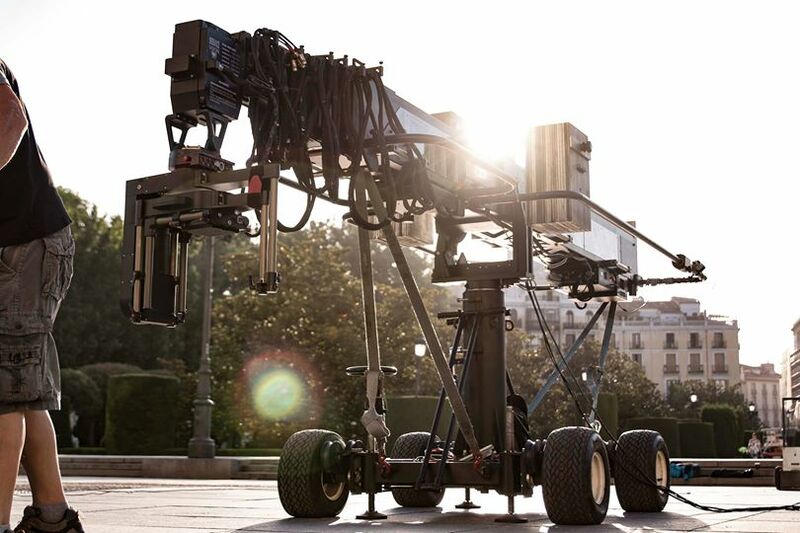 Our crew knows perfectly the equipments with which Camaleón Cine works. In this way we get the best performance out of the equipment and ensure its good use. It is our secret key for the client, agency or production company that works with us to get them to be totally satisfied with the service. Ask us about the availability of our technicians, we will be happy to advise you on the hiring of our staff. Camaleón´s team has highly qualified Grip staff, machinist chiefs, machinists and hot-headed operators who know our innovative equipements and who can advise you when it comes to get the shot you want for your project. Among our Grip services there are our motorized travel Scorpio, capable of repeating the same movement, Telescopic Cranes with heads of two and three axes, Berlangites with the best machinists or manual travellings of all models. All our services include the transport that best suits your filming. We work in all the Iberian peninsula, We have offices in Seville, Málaga and Madrid. Camaleón Cinema Offers complete services with staff, equipment and transport. Our headquarters in Madrid, Seville and Mallorca allow us to give service throughout Spain. 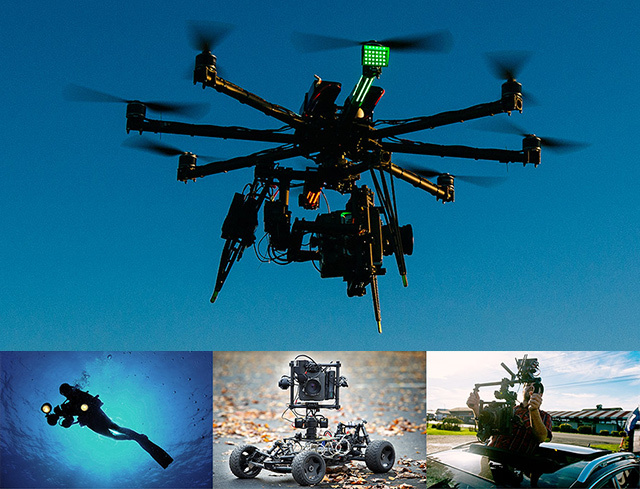 We make special shoots in High Speed ​​with Phantom 2k and 4k Cameras. Specialists in Phantom cameras. Shots with camera stabilizers Movi M15, Steadicam or DJI Ronin, operators and highly skilled camera attendants. Telescopic cranes Scorpio 23 "or Scorpio 30 + 7" with machinist and hot head operators. Aerial plans, pilots with long experience in shooting with Drones for any type of camera. We have all the solutions for your project, consult our discounts when hiring staff. • Shooting Scorpio 23 "
• Scraping Scorpio 30 + 7 "